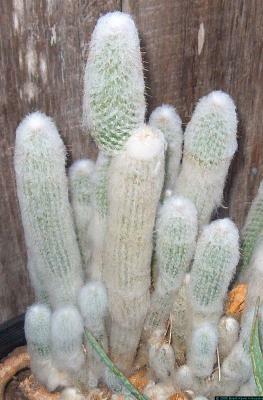 This is a very soft, fluffy looking cactus with very thin, sharp spines that snap off in your skin. Don't touch it. Ever. It likes full sun and sparse watering. Protect it from freezing.